We love trivia and we love paella so we thought we would put them together and create this fun paella trivia for you. Paella has a long and rich history with its roots in farm workers needing a hearty lunch. Basically the cook – traditionally a man – would throw whatever was to hand into a pan and cook it up. From these humble beginnings, classic Valencian paella was born. The workers would stand around eating directly from the pan – they only had to BYO fork. Want to learn more about paella? Test your skills and knowledge with these ten paella-related questions. 1. What unusual proteins (there are two) does a traditional Valencian paella include? 2. What does the word ‘paella’ actually mean? 3. What kind of rice do you use in paella? 4. Do you use white wine or red wine in a paella stock? 5. 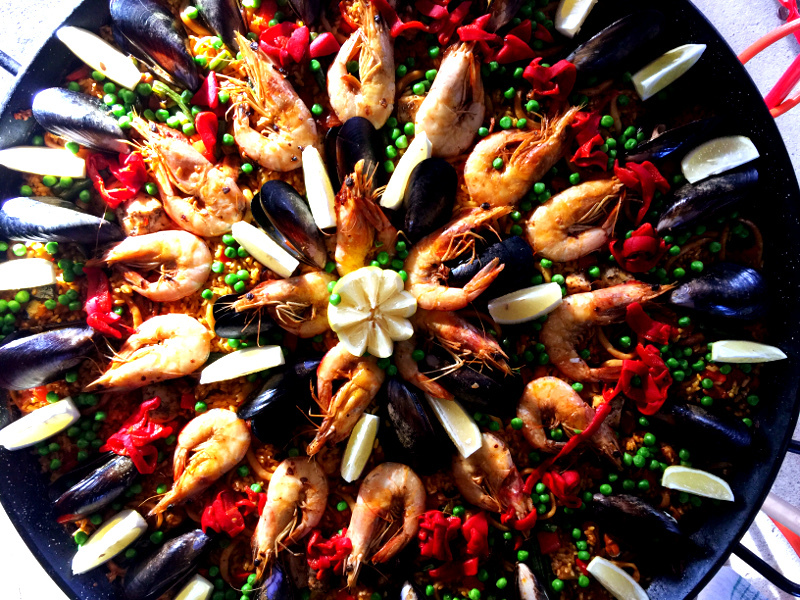 Is paella traditionally eaten at lunchtime or dinner time? 7. 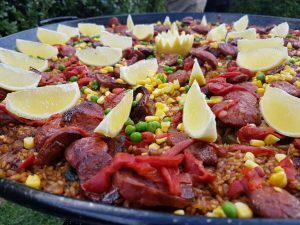 What kind of sausage do you traditionally use in paella? 8. When is world paella day? 9. What are the three main types of paella? 10. What are the two main spices (not including salt and pepper) in paella? 2. Pan. 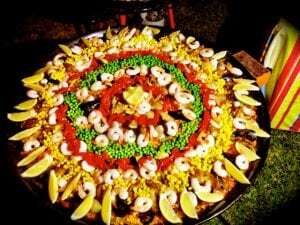 Paella is a Valencian word that comes from the Old French word paelle for pan, which in turn comes from the Latin word patella for pan. 3. Ideally, bomba, but you can use arborio or any other kind of short grain rice. 5. Lunch time as it is considered too heavy for dinner. 6. The crunchy (and delicious) crust that forms at the bottom of the paella pan. 1 – 3 – You need to eat more paella! 4 – 6 – Your knowledge is good. Reward yourself with paella. 7 – 9 – You are a true paella aficionado. Go have some paella to celebrate. 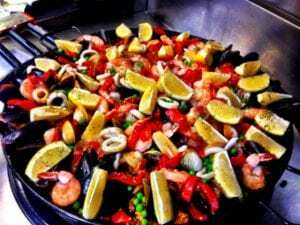 10 – 11 – OK, are you a paella chef? Because you sure know your paella from your pangrattato.